Like many of you reading, my son started JK at a new school this month. 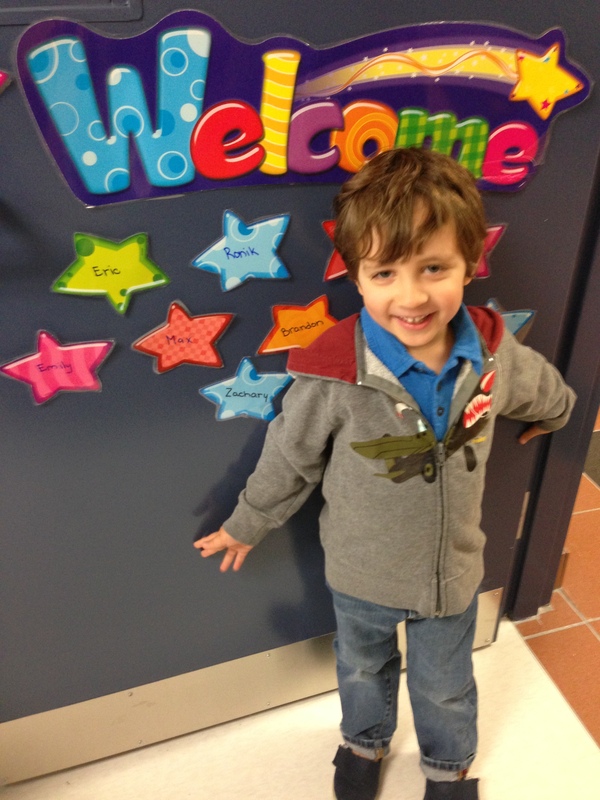 And everyday when he comes home we talk about his day; how he likes his new class, his new school, his teachers, and, if he made any new friends. 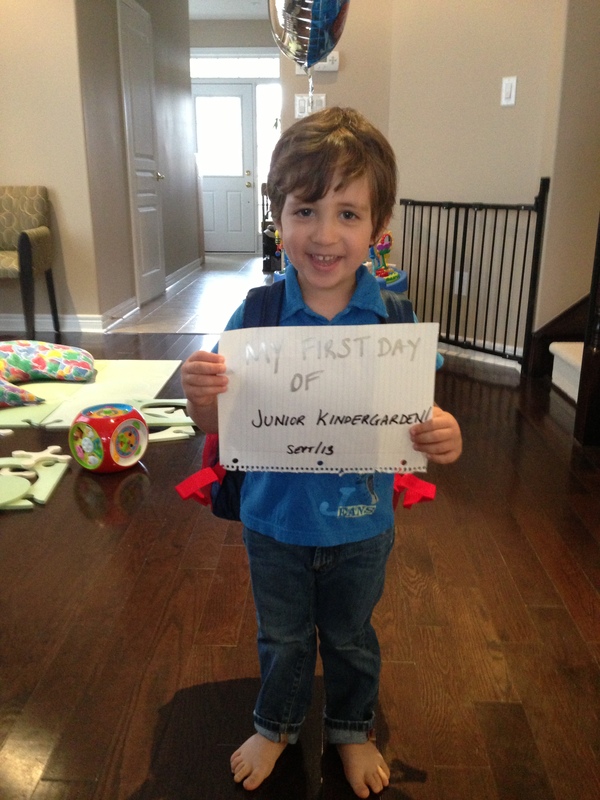 The transition was going great; he loved JK and loved his new school, but he said he didn’t have any friends. With the anxiety that comes along with sending your kid off to a new school, also comes the anxiety that he doesn’t have any friends in his class. He knew a few people that were going to the same school but none of them were in the same classroom. Of course I knew that he could and would make friends, but still, the answer every day was “no mommy, I didn’t make any friends”. Luckily though, at recess he would play with a boy he knew from his preschool and would still have fun. Z has always been a ‘quieter’ child and takes a little time warming up to people. I knew he wouldn’t go out of his way to introduce himself to new kids but I also knew the day would come where he would in fact make new friends. And every day since then, he would come home and we would talk about his day and he would tell us that he sat with “boy 1” and “boy 2”, ate lunch with them, and played with them at recess. My husband and I were relieved; our little boy was doing great. And then I got a message from the other boy’s mother who I met on various occasions, including my son’s birthday party and have been friendly with. She told me that her son came home and told her that he and my son were fighting. What? This was quite surprising as well as shocking to me. I asked Z and his response was he doesn’t play with him anymore at recess. He just wanted to play with his new friends. This concerned me and I tried to explain to him that we can have a lot of friends. Does he understand that he can be friends with one and still be friends with the other? Do the other boys not want him to be friends with the “old” friend? Is he just following these new friends? Does he realize he may be leaving the other out and hurting their feelings? Is this why the other kid said they were fighting? It’s hard to understand what goes on in the mind of a 4 year old. And we know that half the time they don’t realize what they are doing. They are just going about their day as best they know how. As a parent, we try our best to allow our children to make decisions, point them in the right direction, and of course to encourage them. We can’t tell them who they should be friends with. But we can tell them and hope to instill in them, that they need to be nice and considerate… to everyone. We hear so much about bullying and kids or teenagers who aren’t able to stand up for themselves. I can only hope that I am able to teach my son what is right and wrong and how to handle certain situations in the best possible way. No one ever said this parenting thing was easy right? Good thing I may have the answers by the time I need it for child #2! Down time? Whats down time?